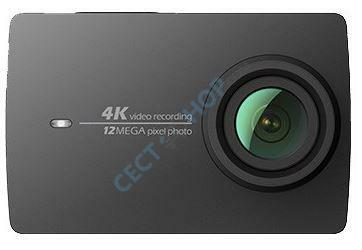 The Chinese manufacturer Xiaomi brings with the YI 4K a new action camera on the market. Who does not know the Yi Cam to date: The Action Camera has almost the same features as the GoPro Hero4, but at a much lower price. 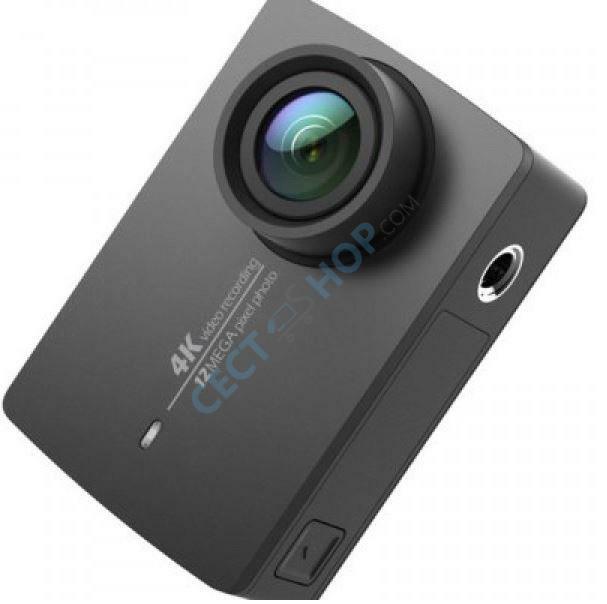 The YI 4K uses even the same chipset (Ambarella A9SE75) as the Hero 4 from GoPro. 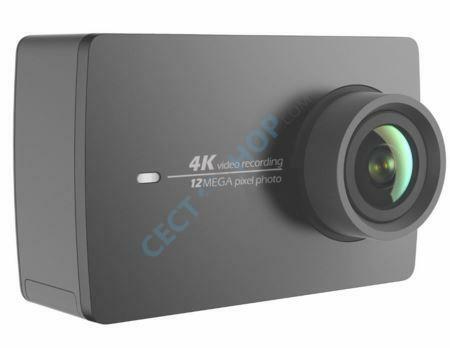 The Xiaomi YI 4K is an action camera that allows 4K video recording at 30fps. 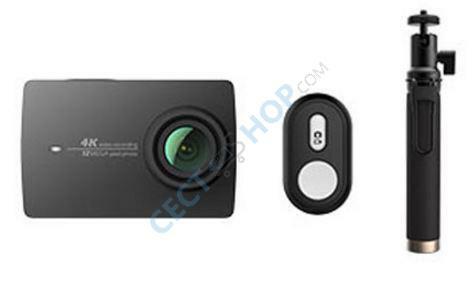 The heart of the Xiaomi Yi Action Camera 2 is the built-in camera Sony Exmor IMX377 sensor, which also allows photos with 12 Megapixel. With the predecessor were only Full HD videos possible. 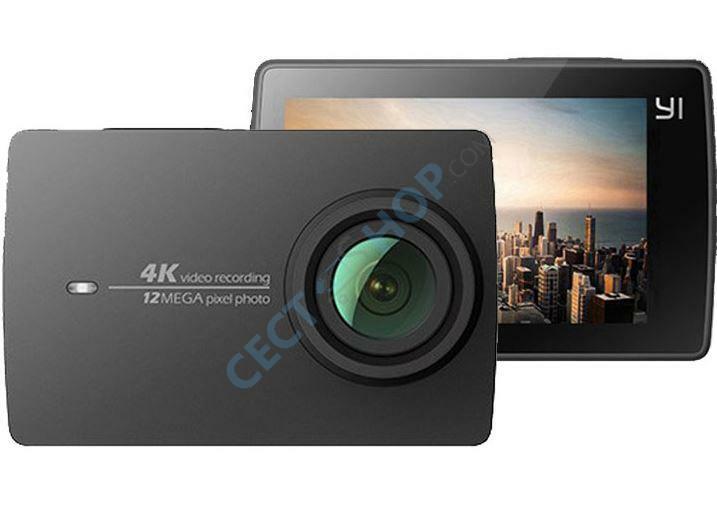 Moreover, a 2.19-inch touch LCD display with 330 ppi (640 x 360 pixels) allows to operate the device, and the image control. The screen on the back is protected by Gorilla Glass. An electronic image stabilization has also been installed, which allows a more accurate recording with the six-axis gyroscope. A feature the GoPro Hero 4 doesn't support. The 12-megapixel sensor consists of a seven-pieces glass lens. The photos and video are recorded with a 155 degree wide-angle lense with an aperture of f/2.8. Other recording modes are in addition to 4K at 30 frames per second (fps), 2.7K at 30fps, 1440p with 60fps and slow motion shots with 120fps at 1080p and 960p, and 240fps at 720p. 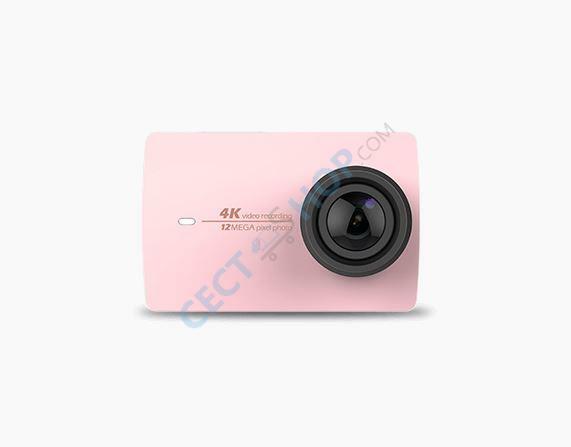 The 95-gram camera is equipped with dual-band Wi-Fi, Bluetooth 4.0 and a microSD card slot. Via WiFi settings can be changed, it can start recording or be shared with others. 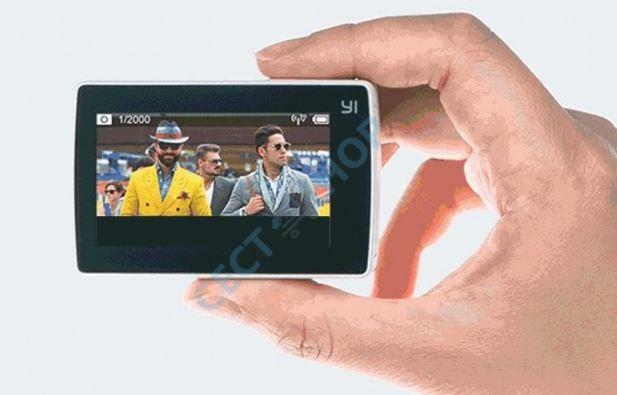 The battery of the YI 4K (1,400 mAh) is able to record 110 minutes in 4K resolution. 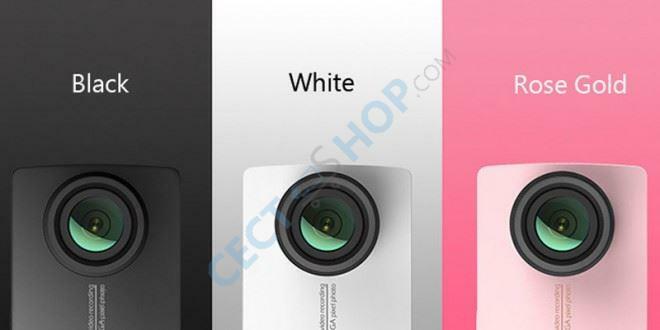 The camera measures 65 x 42 x 21 mm, which is slightly larger than the first Xiaomi Yi Action Camera. A waterproof case (not included) for up to 40 meters under water is also available. 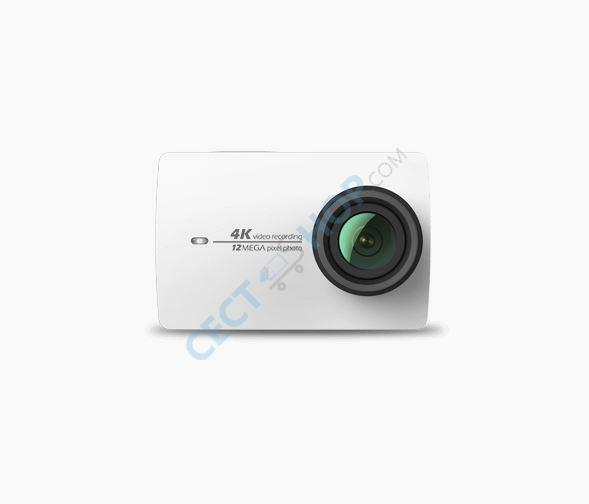 Immerse yourself in the world of action cameras and order the Xiaomi Yi 4K Action Cam now at CECT-Shop - since 2006 for you on the spot! 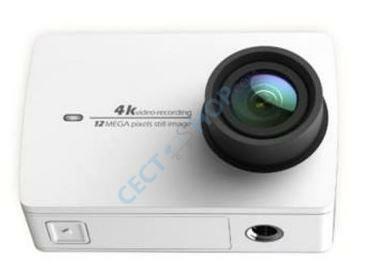 Hatte schon die erste Xiaomi Action Cam, aber die Yi 4K ist nochmal eine Klasse für sich. Trotz chinesischer Kamerasprache kein Problem mit der App vom Handy aus zu nutzen und am besten auch gleich das Unterwassergehäuse dazu holen. Deutlich billiger als eine GoPro Hero 4 und ich finds sie auch noch besser. Kann die Kamera auch den PAL Standard aufnehmen. 25p 50p? Hallo, ware es möglich noch ein Bild von der Rückseite zu machen? Hat die ein Display?